Black Panther continues its reign with $501.1 million in the United States and Canada, and $396.6 million in other territories, for a worldwide total of $897.7 million, as of March 4, 2018. Directer Ryan Coogler’s movie is Marvel’s second to cross $500 million mark after The Avengers and it managed to achieve that number a week earlier than the first Avengers movie that ended its run with $623.4 million in the United States and Canada and $895.5 million in other countries, for a worldwide total of $1.519 billion. The film crossed the $500 million mark in just 17 days, it is on track to cross the $900 globally and it will be the fifth Marvel Cinematic Universe movie to do so and it soon will be MCU’s biggest movie to date. Opening in Second place, 20th Century Fox’s Red Sparrow with $17 million in the United States and Canada, and $26.5 million in other territories, for a worldwide total of $43.5 million, against a production budget of $69 million. In Third place, Metro-Goldwyn-Mayer’s Death Wish with $4.2 million on its first day (including $650,000 from Thursday night previews) and $13 million in its opening weekend. Warner Bros. Pictures’s Game Night settles for fourth spot with $16.6 million in the United States and Canada, and $5.2 million in other territories, for a worldwide total of $21.8 million, against a production budget of $37 million. Columbia Pictures’ Peter Rabbit lands on fifth spot grossing $84.1 million in the United States and Canada, and $17.8 million in other territories, for a worldwide total of $101.9 million, against a production budget of $50 million, as of March 4. 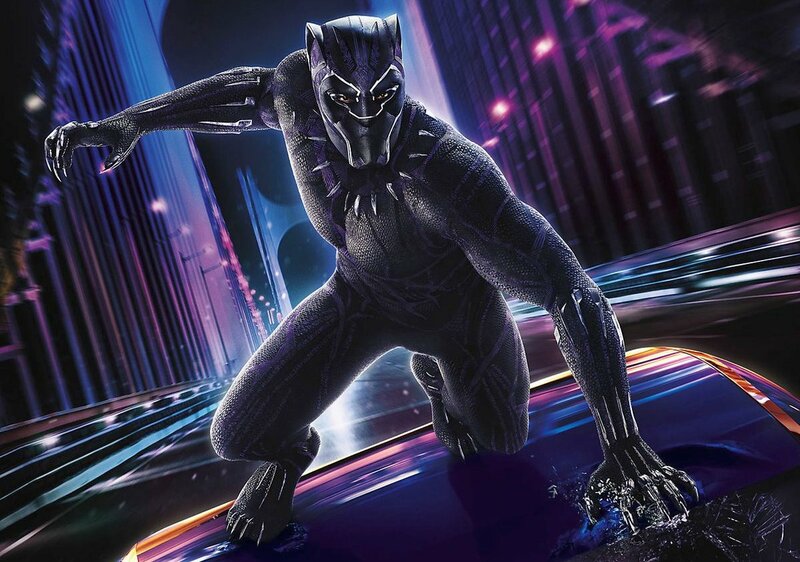 There’s no stopping Black Panther, Disney has revised their estimates and the gross continues to rise, shattering all the expectations with a massive $201.7 million over the three-day and it is on track to surpass $235 million for the four-day weekend. It has successfully become the fifth movie to debut with over $200 million during its opening weekend only after The Avengers ($207,438,708), Jurassic World ($208,806,270), Star Wars: The Last Jedi ($220,009,584) and Star Wars: The Force Awakens ($247,966,675). It will probably break more records when the actual numbers are in. As of February 19, 2018, Black Panther has grossed $235 million in the United States and Canada, and $169 million in other territories, for a worldwide total of $404 million. The film in just four days is the 25th highest grossing comic book adaptation of all-time, 12th highest grossing film in the Marvel Cinematic Universe and 17th highest grossing Marvel comic adaptation of all-time. The film opened to an estimated $192 million domestically from 4,020 theaters in the United States and Canada; and $169 million in other territories, for a worldwide total of $361 million…the 15th-biggest of all time, including $30 million that was attributed to IMAX screenings, the fourth biggest amount ever and topped the President’s Day weekend. Black Panther is on track to finish the four-day holiday weekend strong with $218 million, the largest February opening of all-time, giving Disney eight of the top ten domestic openings of all the time. The eighteenth release in Marvel Cinematic Universe franchise, the ninth film with over $100 million opening and the second largest opening, behind The Avengers ($207.4m) and topping Avengers: Age of Ultron‘s $191 million debut. It is also worth mentioning that Black Panther dethroned Deadpool ($132 million) as the highest-grossing February release. Sony’s Peter Rabbit takes second spot with an estimated $17.25 million for the three-day, which is expected to add over $22 million for the four-day holiday weekend. The film’s domestic total is currently at $48 million since its release on February 9. Universal’s Fifty Shades Freed that enjoyed the top spot last week has settled for the third spot with $76.1 million in the United States and Canada, and $190.8 million in other territories, for a worldwide total of $266.9 million, against a production budget of $55 million. Sony’s Jumanji: Welcome to the Jungle holds fourth with an estimated $377.6 million gross in the United States and Canada; and $527 million in other territories for a worldwide total of $904.6 million. And rounding off at number 5 is Warner Bros. Pictures’ The 15:17 to Paris grossing $25.4 million in the United States and Canada; and $10.7 million in other territories, for a worldwide total of $36.1 million, against a production budget of $30 million. Marvel’s Black Panther stars Chadwick Boseman as T’Challa, ruler of Wakanda, Michael B. Jordan as Erik Killmonger, Lupita Nyong’o as Nakia, Danai Gurira as Okoye, Forest Whitaker as Zuri, Daniel Kaluuya, Angela Bassett as Ramonda: T’Challa’s mother, Martin Freeman as Everett K. Ross, Andy Serkis. Additional cast members include Sterling K. Brown as N’Jobu: A figure from T’Challa’s past, Letitia Wright, Winston Duke, Florence Kasumba and John Kani.